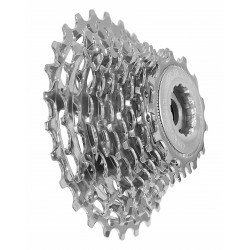 Miche cassette compatibel met Campagnolo 10-speed body's . 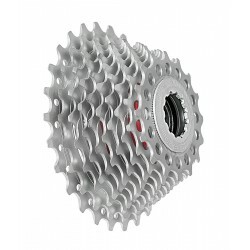 Cassette Miche geschikt voor 10-speed body systemen van Shimano en SRam . € 63,99	Op voorraad, kan onmiddelijk verzonden worden! 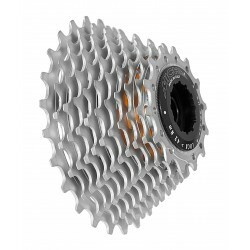 Pole position sprocket and middle position sprockets in chromed steel matt finished; Hard Treatment anodized last position sprocket made of AL 7075-T6. AL 7075-T6 lock ring. Pole position sprocket and middle position sprockets in chromed steel matt finished. 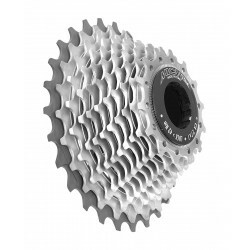 Hard Treatment anodized last position sprocket made of AL 7075-T6. AL 7075-T6 lock ring. Pole position and middle position opacque chrome-plated steel. Last position AL 7075 T6 HT-Hard Treatment anodized.